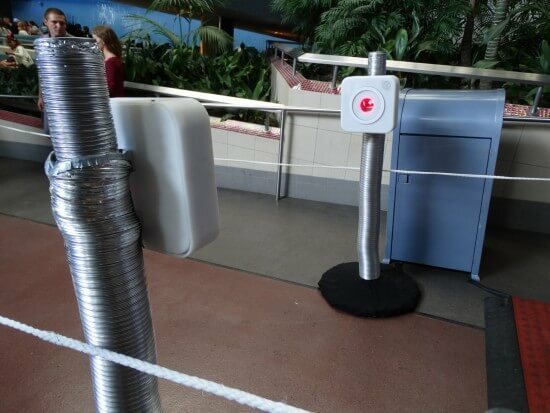 Guests at Disneyland were taken aback today as similar technology from Walt Disney World’s Magic Band system seemed to have appeared as part of a test at the Space Mountain entrance in Tomorrowland. FastPass-holding guests were ushered through a newly-roped-off queue and instructed to press the barcode of their FastPass against one of the two readers on either side. The lights on the readers turned green in a very familiar way when the passes were validated. 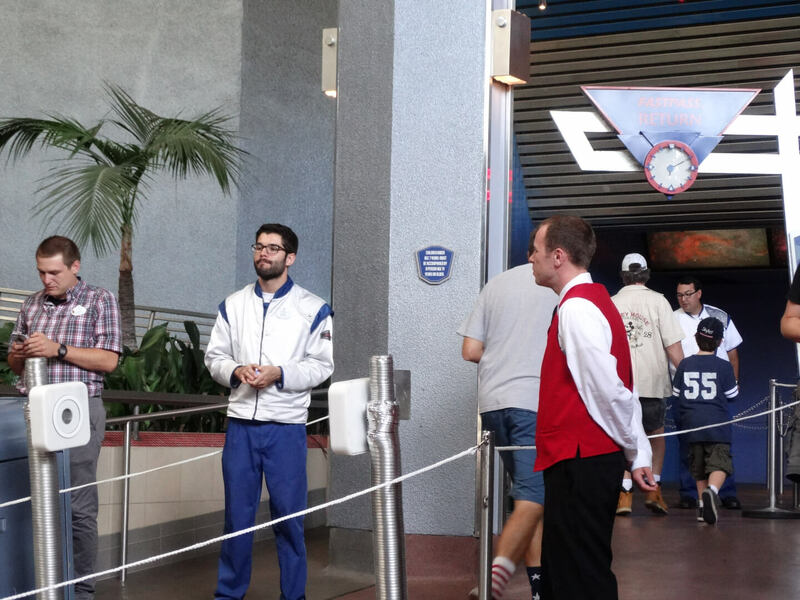 Normally, guests at Disneyland show a print-out ticket displaying their return time to ride an attraction. At this time, there is no other information available as to future plans for this technology at the Disneyland Resort. Update (10/20/15): A Disneyland official reached out to elaborate on the testing following the publication of this article. 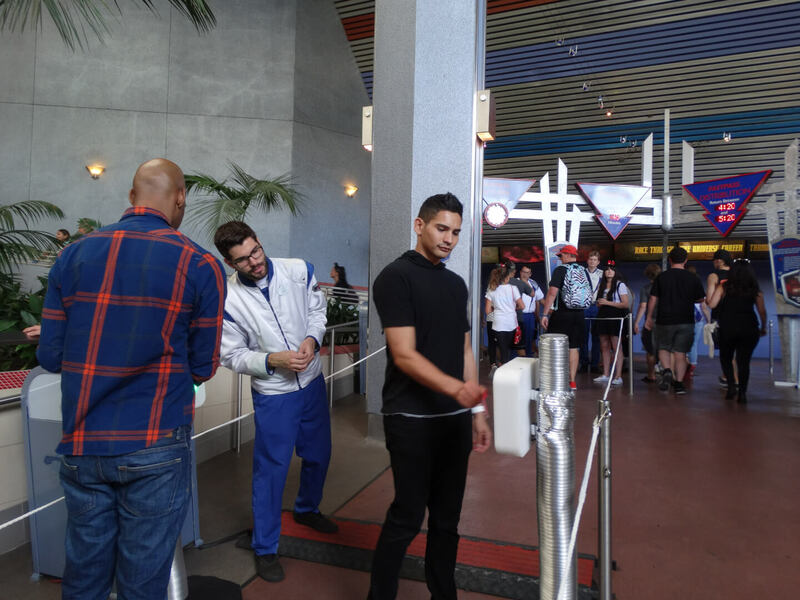 According to the company representative, the test for now is just for Space Mountain, in which Disney is gauging the efficiency of using a barcode-based FastPass reader at the ride’s entrance. 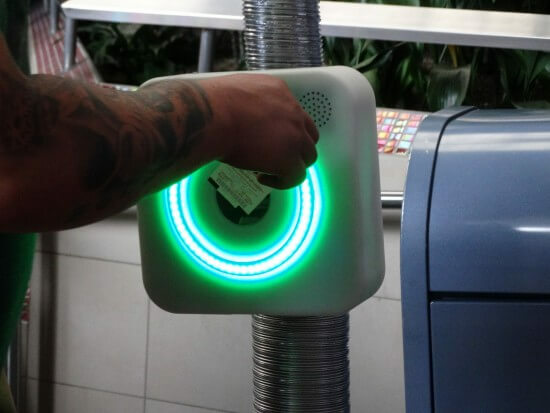 If the test goes well, future paper FastPasses could have bar codes printed on them for quick scanning. 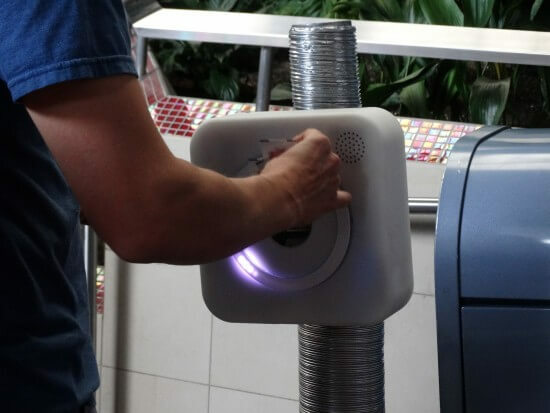 The Disney representative could not offer any further comment on whether the test is related to any potential inclusion of MyMagic+, MagicBands, or FastPass+ at the Disneyland Resort, only to say that they are frequently testing new technologies to see what works in the parks. Cast members did not comment on how long the test would run or even whether Magic Bands themselves would make their way to the California parks. Magic Bands perhaps coming to Disneyland? As annual pass holders(well, every other year), the idea of being able to re-use the band is a nice convenience. It will be interesting to see how this test rolls out and where it takes things. A universal system that they standardize upon would be a good thing. As international guests to the Magic Kingdom(s), the experience of knowing you’d get to hit all your favourite activities with no drama was amazing in Orlando. The app was seamless, and then we were able to get up to 7 Fast Passes in a single day with the kiosks. Once you learn the system what it allows you to do is really quite astonishing. It meant less rushing, more time together, and gave the kids great things to look forward to on our trip. I loved MM+ at WDW when I went a few weeks ago. Magic Bands are going to be a huge hit with collectors in Anaheim. You don’t need to make advance reservations, they’re only suggested. I’ve gone to the florida parks so many times without having to “plan in advance” with my fast passes and there are still a ton of fast passes available by the time I would get through the park gates. Couldn’t agree more. Like the bands… but hate what they have done to FastPass availability and the now-necessary advaced planning.. The reality may be different, but after spending 10 days with the bands at WDW over a busy early July time frame this year, it was clear that many key rides had distributed all/most FastPasses in advance of the day we were in parks, rendering changes to our too-planned daily activities difficult. Couple this with almost mandatory restaurant reservations now needed… and the week lost all spontaneity. If WDW put a stated limit on the % of FastPasses distributed prior to the day in question, guaranteeing that a % of FP for each ride would be available the day of, it would change my perception. Disney FastPass+ service allows Guests to reserve access to some of their favorite experiences in advance through the My Disney Experience website and Mobile App before they leave home. Offerings expand beyond attractions to include parades, nighttime spectaculars, shows and character greetings! Using the My Disney Experience planning page or mobile app, you can lock in some of your must-do attractions and entertainment experiences – so you can relax and enjoy the moment with your family. If your plans change, you can update your FastPass+ selections on the go. Make changes with the My Disney Experience mobile app, at your Disney Resort hotel Lobby Concierge or at the FastPass+ kiosks conveniently located throughout all 4 theme parks. We just go back from DW and I agree with you….really took away from the experience.. I’m still putting DL ahead of DW.. There is no drawback when you sit with your kids and say ok, what do we want to do on this day which park. Now the big rides get fast passed and you plan around them. It is really awesome, we went to WDW in may of this year and it was such a nice feeling not having to lug around wallets and purses for cash. FP+ worked very well for us. Making dinner reservations is just something we take for granted: eating at a restaurant is a finite good. There are only so many tables and so many hours to eat in. If you want in, you have to make a reservation. As populous as the parks are, it’s just unreasonable to expect otherwise at a sit-down. It actually annoyed me more to not be able to make reservations for lunch at Be Our Guest rather than having to make them for dinner there. Once the dinner reservations are made, it’s not hard to work FP+ around that. We knew we would be in Fantasyland around dinner, so we just set up FP+ for Peter Pan, Seven Dwarfs Mine Train, and meet ‘n greets before and after then. I wouldn’t say it impacted our spontaneity: it just meant we were definitely going on Peter Pan between X and Y times, in addition to whatever else we were doing. Using FP+ really helped to make our trip to WDW. If you know how to use it well, I can’t imagine it having that big of a negative impact. I think it is a big mistake, Walt Disney World has turned into a time machine having to be at one place at a certain time the idea of leisurely strolling through the park has been ruined by the magic bands. It would have been better if they had taken the money to make better rides for all concerned at all parks it cost millions of dollars. Very disappointed very! I didn’t realize that WDW had eliminated the standby queues. Having to experience all the attractions only by way of MM+ sounds just awful! They haven’t—there are still standby lines. 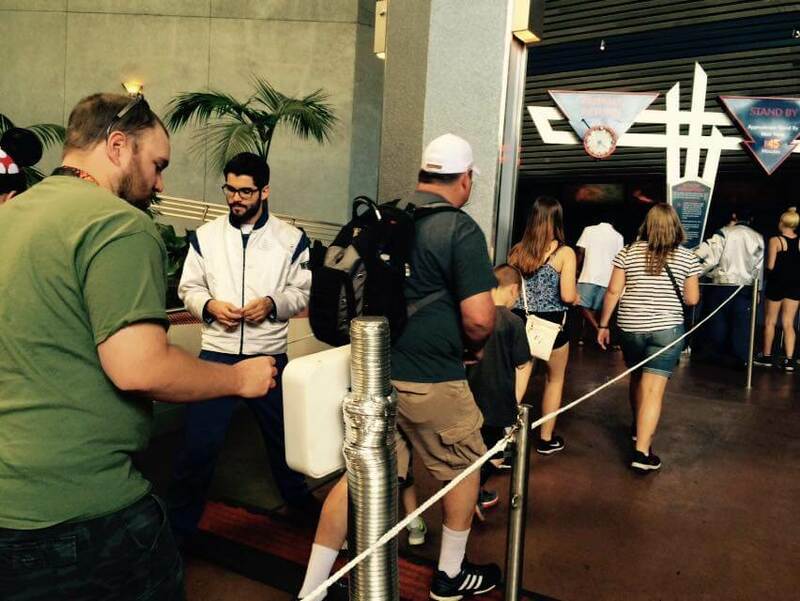 You’re just likely to squeeze in more rides if you use the bands’ FastPass system. We used both the bands and the standby lines AND we had plenty of “leisurely stroll” time in all four of the larger parks—all during a very busy June weekend, I might add. In short, we did everything we wanted to see and do at WDW, including *every* major attraction. Frankly, most of the people here are hyperventilating. No you can still wait in the traditional lines. 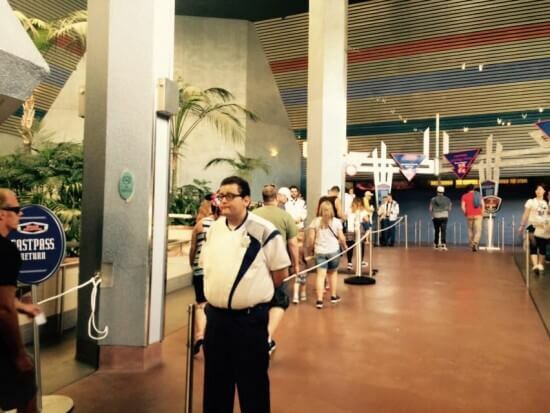 The Magic Bands and Fast Passes are designed to maximize not minimize guests experience. Those that are having a hard time I suspect weren’t versed with the My Disney Experience App. You can get wait times for ANY ride at ANY time using it, swap out Fast Passes, make dinner reservations, you name it. Yes, they spent a lot of money on the technology in the desire to keep up with the changing environment and give guests the best bang for their buck. Fastpass+ MADE our trip to WDW. We made a point of using FP+ for shows, meet ‘n greets and the odd attraction with anticipated huge lines. What that translated to was not having to wait around in lines for an hour to get on a ride or on a curbside for longer to see a parade. I find lines and waits interminable, so the less time spent in them the better. It didn’t affect our spontaneity since it doesn’t actually make a huge impact to have a date with Peter Pan between 6 and 7, dinner at Be Our Guest at 7, Seven Dwarfs Mine Train between 8 and 9, and the Main Street Electrical Parade at 9. For us and our needs, FP+ worked great. Big correction to make here: Those are barcode readers, not RFID readers like the ones that are in place at WDW. It is COMPLETELY different technology. Not even CLOSE. This is essentially what any grocery store uses to scan items at the checkout, so it’s legions cheaper than the MyMagic+ System as well. This won’t eliminate paper tickets. 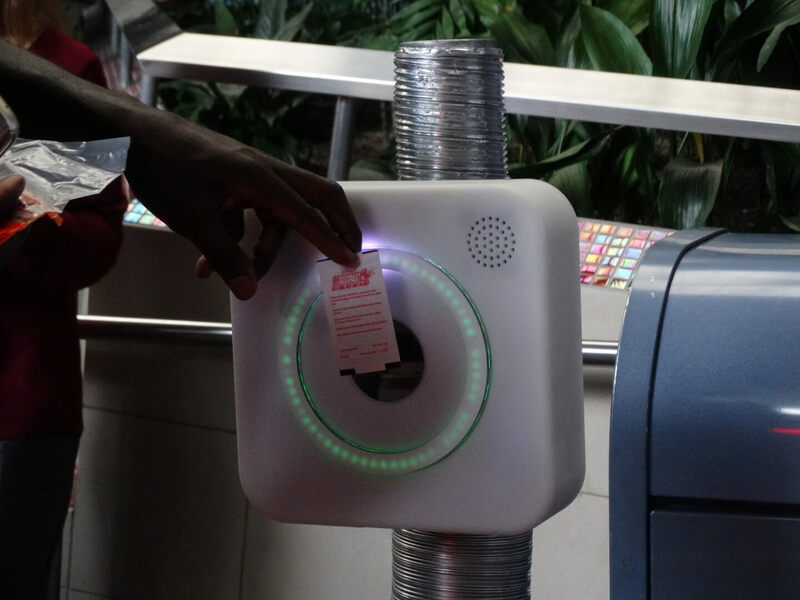 All Disney has to do is put a barcode on paper tickets so that these readers can quickly scan them, and boom: now the readers can quickly read the tickets rather than Cast Members, which means more efficiency. This is so far away from MyMagic+. To people who are freaking out: You have nothing to worry about. This is to an extent, yeah it might be different technology, but its the same concept right now except being able to book in advance. This is just the beginning RFID or bar code, there testing the concept. 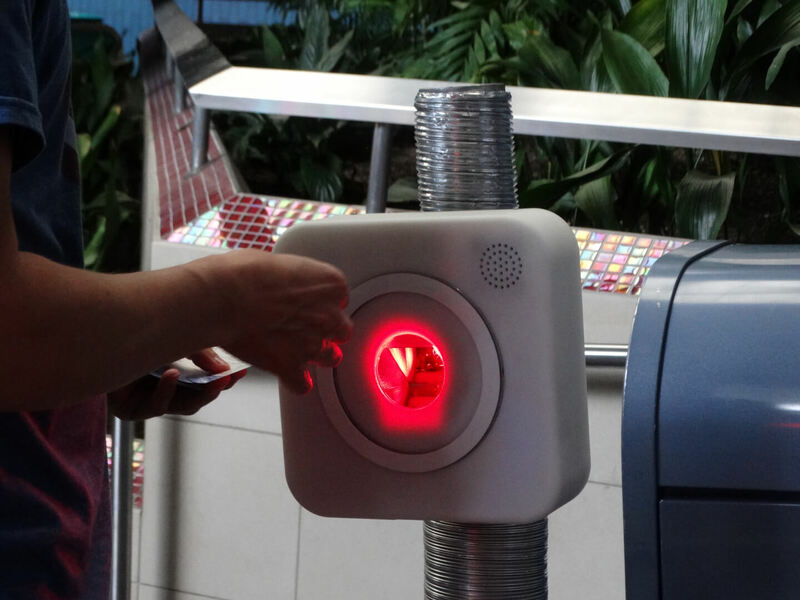 Just another way to slow down FP lines, as the majority of the dullards at DL will spend a minute trying to figure out how to scan a barcode, causing a major backup. It also eliminates the possibility of showing up a couple minutes after your magic one hour window expires and still getting in line, because humans are much more forgiving than machines. The FP system worked so much better before they started clamping down on return times. I never saw a long FP line until they made their changes, now the FP lines are half as long as the regular lines for some rides, especially Space Mountain. I agree this is the begining Faze of RFID , their testing the concept. Its Build into the System already. This is Disney Future Profing. So when the switch comes to America,disney is ready. Dont get me Wrong iam a Fan of the Disney parks. But iam not a fan of some of their practices. Like this one. They are also going to sale u on the Security part of it. As the public gets use to it the next thing would be . They will tell u, You dont have to bring ur Wallet anymore to Disney u can use magicband to pay for Food and Drinks in the Park. So when go up to the Casheir just left up ur arm and she will scann it with the Scanning gun. So right now its in the Cool Trendy Faze. looks pretty put characters on it, less wait time. Actually you can pay for food using your MagicBand at a lot of places IF you’re a guest at one of the WDW Resorts but you will still need your ID & credit card for several things limke dining reservations, buying alcohol, etc. It doesn’t cover everything. 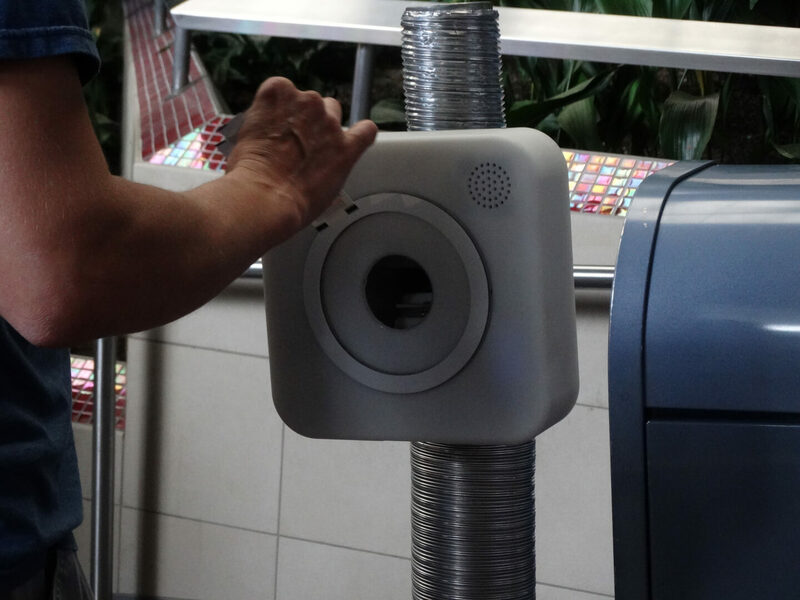 Even Touch to Pay can’t be used at all locations. I know this is just test equipment, but is that exhaust duct from a clothes dryer wrapped around a pole?! While I don’t care about how the fast passes are done. I really enjoyed my magic band at WDW. I almost lost my card ticket s few times in both Universal and even at Disney Land. It would be nice to not have to worry about that or purses while at DisneyLand. Not sure what many of the Magic Band complaints are about. If you don’t want to use it you don;t have to. But from my perspective, it made our trip amazing. From the ability to pay for everything via the band, fast pass integration, key for my room, link for Memory Maker / Photo Pass, and they ay it is integrated into some of the rides (the personalization in Small World and the haunted Mansion, the ability of ride photos/videos to be linked automagically to my account) and the way it all synced up with the mydisneyexperience app, it was simply amazing. I hope the expand it in more ways, especially in ride interaction. If you pay attention while you are making your reservations you shouldn’t ever really be in a time crunch. And if that worries you then don’t use fast pass.